Paddington Mid Sleeper, Rainbow Stardust | Great Little Trading Co. 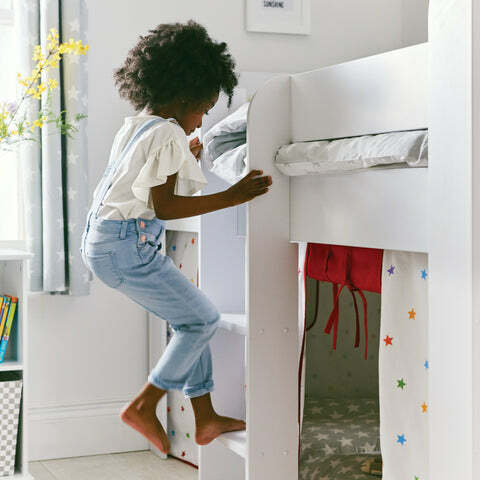 This sturdy kids' bed is designed to be a fun but practical addition to your child's bedroom; you can use the space underneath as a play area, but it's also an ideal home for extra storage or for sleeping bags on sleepovers. We've made sure this bed is totally wobble free and steady; it's designed with special L shaped legs for extra stability, and features a solid MDF frame and panels with a pine slatted base. 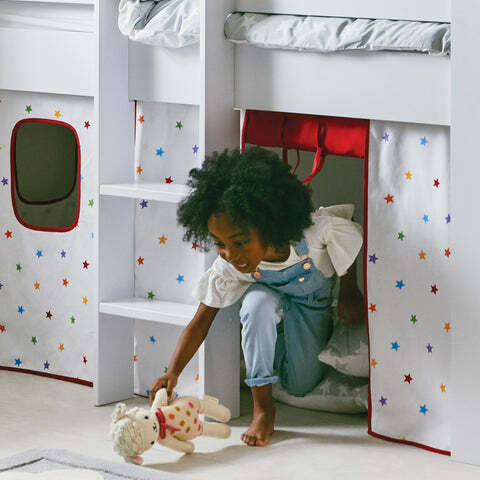 It's finished in Bright White and the play den curtains are machine washable and made from 100% cotton. Tested to British Standard BS EN: 747, suitable for 6yrs+. Assembly service available (£100). Includes 5 Year Warranty. 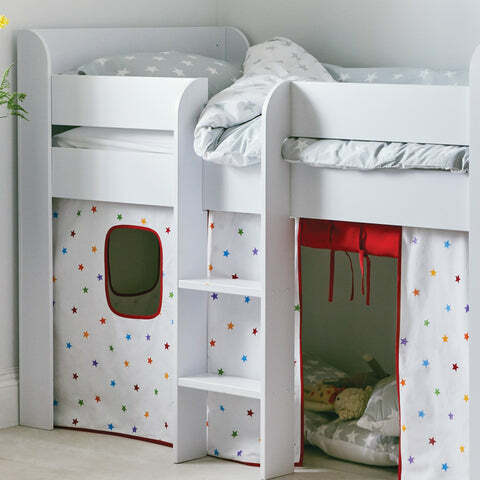 This mid sleeper bed requires a standard UK Single mattress in a shallower (15cmD or less) mattress. We therefore recommend our Luxury, All Rounder mattress. If you're in a rush the Classic mattress is also safe to use on a raised bed and available for Express Delivery. For more information please see our Mattress Buying Guide.